Our friends are like a priceless treasure to us. They never hesitate to render an unconditional support to us at all times. 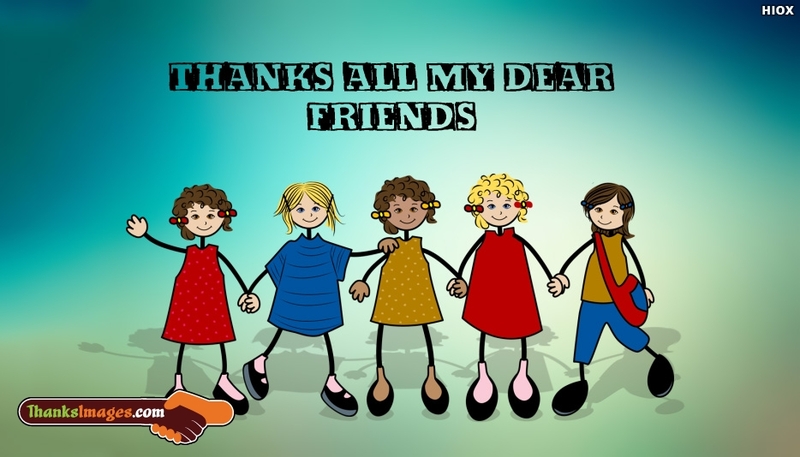 Thank such beautiful friends by sending them this "Thanks all my dear friends" image in messengers like Whatsapp, Hike, Wechat etc to honor your friendship.